To take a group of military veterans with PTSD to France to research the effect on their symptoms. Post-Traumatic Stress Disorder (PTSD) is a type of anxiety disorder that people may develop after being involved in, or witnessing, traumatic events. 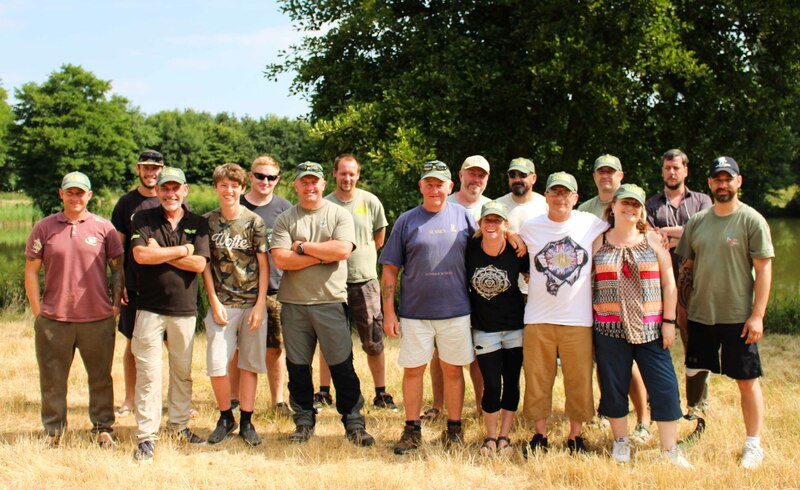 I am raising funds to take a group of military veterans, who are currently struggling with PTSD after their period in service, away to France to fish for a week. This is an attempt to replicate previous study results which found reduction of their symptoms. Many military veterans are survivors of traumatic events and my research has demonstrated significant improvement in their symptoms by engaging them in group angling sessions in the UK. I am now attempting to research the effect of increasing the time spent together as well as making the trip abroad. If this research can demonstrate improvement this potentially will be able to help many survivors of trauma. I am a High Intensity Psychological Therapist within the NHS and also a PhD researcher at Essex University. I specialise in working with the survivors of trauma. Living in the garrison town of Colchester many of my patients are military veterans. I am passionate about helping these survivors of trauma and believe my research has already saved lives, I want to heLp and save others. I have completed a PhD researching into the benefits of group outdoor activities (fishing) in the reduction of symptoms in PTSD, I now want to expand on these findings by increasing the experience felt by the veterans by making the triPs longer and abroad. I am hoping this longer period spent together will increase the opportunities for friendships to be made and therefore broaden the participant's support networks. I hope also that by talking to each other and sharing their experiences this will aid their recovery. This is important to me as I feel we owe it to these ex service men and women to try and aid their recovery. If you are able to give something back to these men and women, who have given so much for you through their military service, the money will enable us to continue researching this important area. PTSD can be a severely debilitating disorder and sadly can blight people's lives for years. Any respite we can offer is of huge benefit to this notoriously challenging group to treat. 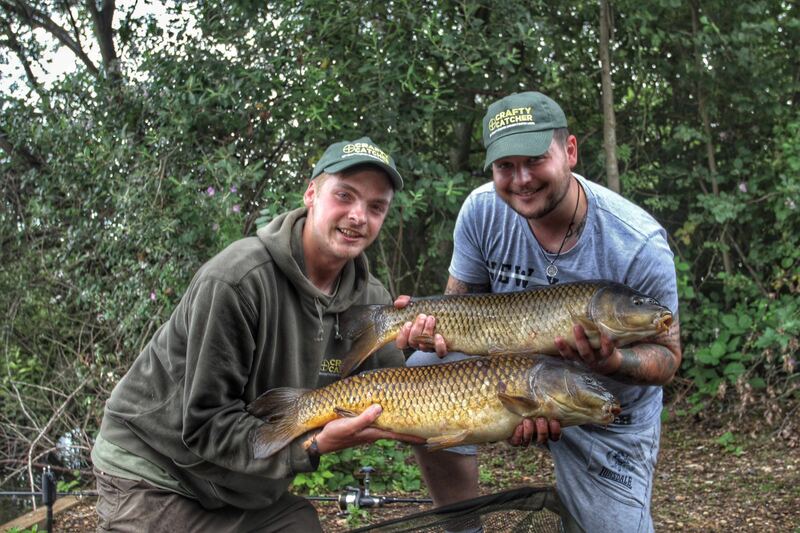 All that donate will be entered into a prize draw for the chance to win a fishing session for 2 people for 24 hours on the prestigious Berners Hall Fishery https://bernershallfishery.com/ . Also all donations of £10 or more will receive a free iCARP wristband. All donations of £10 will receive a personalised thank you tweet sent from PTSD Essex. We are grateful for your help and want you to know, we will send out short video clips thanking you personally, lucky you! Any donations exceeding £25 will receive a free iCARP wristband to demonstrate your support for our work. These wristbands are new and initially exclusive to this fund raising for the research project, be the first to wear one! For all donations of £50 you will be entered into a draw for 5kg of the excellent Crafty Catcher King Prawn boilies (fishing bait). This will come with a Crafty Catcher cool bag with four pots of different flavoured pop up hook baits. This will be delivered to your door. Donate, help out a military veteran and potentially get some excellent bait too....it is a win win situation! * Please note if you win the draw for this prize you are not eligible for the other draws too. All donations of £50 or over will be entered into a prize draw for a 24 hour ticket, for two people, to fish Berners Hall Fishery in Essex, UK. This is a glorious fishery with some huge carp in residence. Help support the research and catch yourself a monster too!! * Please note if you win the draw for this prize you are not eligible for the other draws too. Anybody donating £100 will be tagged in all social media promotions around the research event. I expect to see a lot of social media response to this project, be part of the exposure and help a veteran with PTSD at the same time! For all those that donate £250 or more will be entered into a draw for 2 x Greys - Prodigy Apex 50mm Carp Rods, with a total RRP of £440, these were generously donated by Total Fishing Tackle (https://www.total-fishing-tackle.com/) Help out a great cause and have a chance of winning some awesome rods to either use yourself or give to a friend, brilliant opportunity! * Please note if you win the draw for this prize you are not eligible for the other donation draws too. Anybody donating £300 or more will receive an acknowledgement on the documentary credits for their support of the project. This is a truly excellent opportunity to demonstrate your support for our military veterans and receive wise exposure at the same time. I hope for this documentary to be picked up by national TV broadcasters, what an opportunity!